The Patterson Medical Replacement CPM Patient Pad Kits fit a variety of Patterson Brand CPM machines for utmost comfort during rehabilitation. Please check with your device in order to make sure the available products are a good fit. 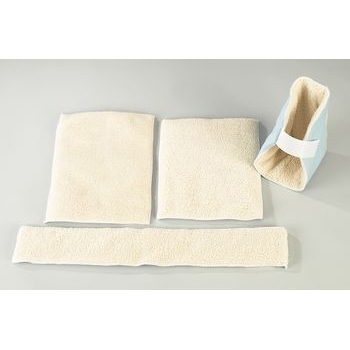 562801 // Knee CPM Pad Kit Extra Wide 18"
562802 // Knee CPM Pad Deluxe Extra Wide 18"
562803 // Knee CPM Terry Cloth Extra Wide 18"
562804 // Knee CPM Pad Two-Piece Lambswool Extra Wide 18"